OK, I’ll admit I’m a little obsessed with the writing of Beatriz Williams at the moment. But it’s justified! In this novel, she has managed, once again, to create characters that I’d love to go out and have a drink with. This story, which takes place in New York just as the world is reeling from the effects of the first World War, weaves together the lives of Sophie, a reclusive innocent who secretly tinkers with “machines”, Octavian, a WWI air force veteran/hero, and Theresa, a middle aged NYC socialite. As their lives become entangled, we gradually learn why Sophie’s life has been so sheltered by her father and how complications of love can bring out both evil and good. Williams’ use of different voices enables her to truly uncover the personalities of her colorful and complex characters. We hear from Theresa in first person – and her aggressive but coy and sardonic humor shines through. On the other hand, we learn about Sophie in third person, but this is fitting as she actually knows little about herself, having been sheltered by her father and trying to break out. And with each change of perspective comes a different tint in language and feeling. 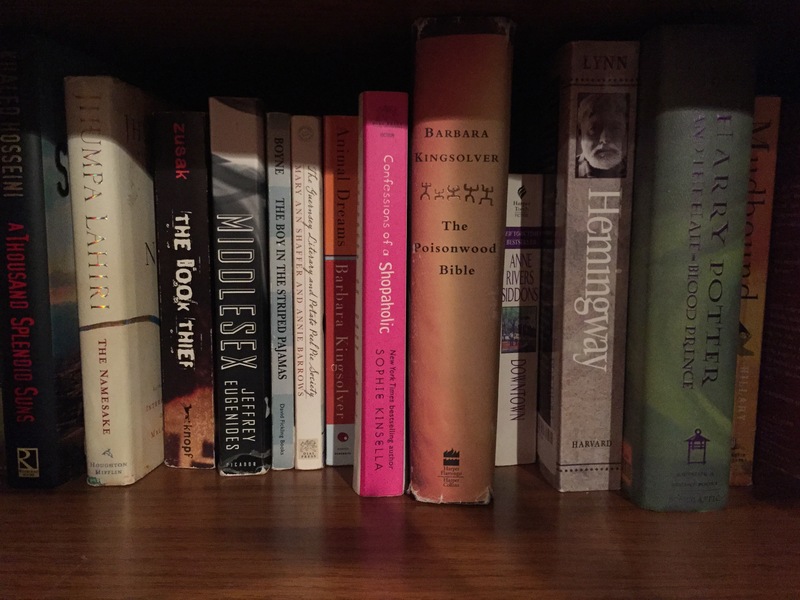 What is also amusing is that all of Williams’ books either centrally or peripherally involve the Schuyler family of Manhattan, her fabricated, very large and very intriguing family of characters. In this book we get to know Julie Schuyler, who is rich and confident and worldly, but also admittedly dependent on her family for her fun – a woman typical of her wealthy 1920’s era. She is a side character here, but serves as the vehicle that brings Sophie into the limelight of the story. 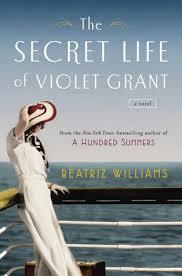 I can’t wait to read my next Beatriz Williams book! Another absolute winner by this gifted writer! Pepper Schuyler certainly has her reasons for selling the 1936 Special Roadster Mercedes Benz she’s been working on restoring, but she can’t imagine why the mysterious Annabelle Dommerich was so intent on buying it, and for such a small fortune. To learn why, the author takes us back and forth between the relative “present” (1966) and the past (1935-) in the telling of the story. We learn that Annabelle has had to navigate a passionate love for a Jewish German man at the start of the Nazi uprising. Her complicated history has lead her inextricably back to this car and to Pepper, with whom she will share more in common than Pepper would have ever predicted. Beatriz Williams has a way of creating characters whom you just want to invite over for a drink and conversation. Her female characters are smart and sharp-witted and yet hopeful and strong. In addition, she crafts her plots with twists and turns and actually keeps the suspense maintained throughout the pages. This is a book that you can’t stop but yet don’t want to finish reading, because you just want to stay in the world of these real-life, endearing characters. This was my favorite book of the summer! Vivian has stumbled on the makings of a news story from her own family, when she receives a suitcase from an aunt she’s never heard about before, who is rumored to have killed her husband and run off with her lover. In tracking down the details of her aunt’s romantic history, she also becomes embroiled in a romantic “situation” of her own. And what starts as a simple tale of the heart actually broadens to a historical fiction saga of more worldly proportions. I’m being vague about the description here because I don’t want to give anything of this twisting and turning novel away. The author throws curve balls when the reader least expects them and I don’t want to ruin it for anyone lucky enough to read this book. The writing of this book is exquisite! The voice of Vivian is delightful – with a playful and biting edge and air of self-deprecation. And the voices switch from Vivian to her aunt Violet, as the time switches back and forth as well. I found myself giggling throughout, even as the plot thickens and becomes quite suspenseful, there is always humor to lighten the tone.